Parable - Gold. 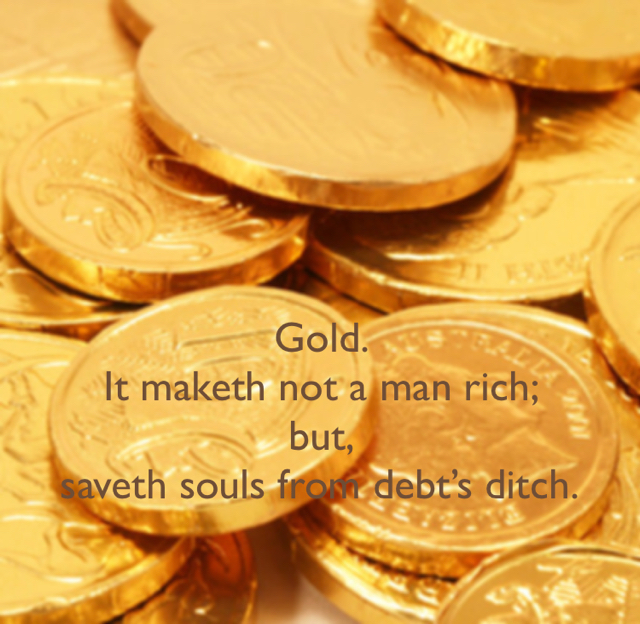 It maketh not a man rich; but, saveth souls from debt’s ditch. Gold. It maketh not a man rich; but, saveth his soul from debt’s ditch.